Do you ever get itchy to change things up at home, but you can’t quite justify doing a complete redesign? Yeah, us too. But even if we’re not ready to commit to a total overhaul, there are still affordable changes we can make that have a big impact. 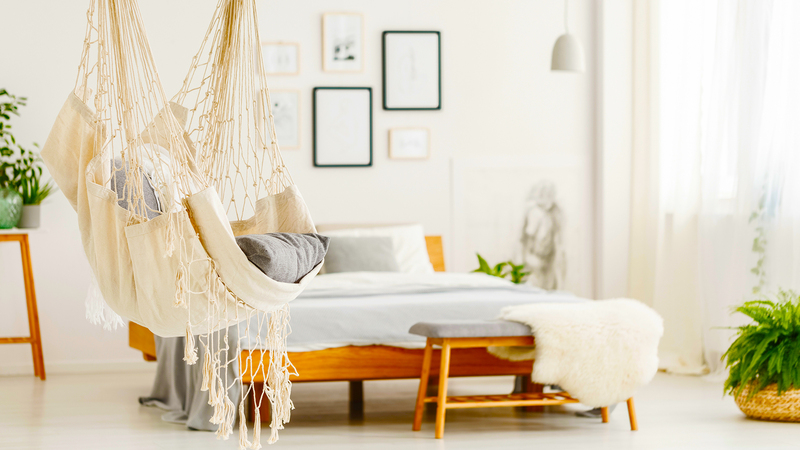 Whether you’re looking to freshen up the living room, the bathroom, or the pile of toys and clothes that’s supposedly your kid’s room, here are some of our favorite affordable home makeover ideas under $20. Give your current throw pillows a totally on-trend makeover with a set of lush tropical pillow covers that will make your living room feel like a tropical cabana in the summer sun. The fridge is usually the biggest appliance in your kitchen, so giving it a makeover can change things in a big way (and it’s a whole lot more affordable than a shiny new fridge). This easy project is perfect if your fridge is old and ugly but you’re not quite ready to upgrade. All you need to do is clean your fridge thoroughly, sand it down, and paint. Your eyesore will suddenly be the one-of-a-kind stand-out. Give your bathroom a one-two whammy by both eliminating clutter in the shower and on counters with a shower curtain liner that has built-in storage, and by giving it a serene spa look thanks to a pristine white shower curtain. OK, so this one is technically one dollar over our self-imposed twenty dollar budget, but that extra dollar is gonna go a long way. Adding a lush green plant like a fern to your bedroom is not only a fantastic visual makeover (and perfect for spring), but it has health benefits too. Plants are natural air purifiers and ferns, in particular, happen to be great at removing all the toxic ick from your air. This 100% cotton duvet cover and pillowcase set add a bright touch of modern design to your kid’s bedroom. The design is fun and a bit whimsical, but without being tacky or juvenile. Ah, the dreaded playroom dilemma. We love it because it keeps the kiddos entertained while we binge the latest Netflix series but the chaos and clutter that ensues the moment your little one steps foot inside is always overwhelming. The key to a quick, cheap and easy makeover in this room is storage — cute storage. 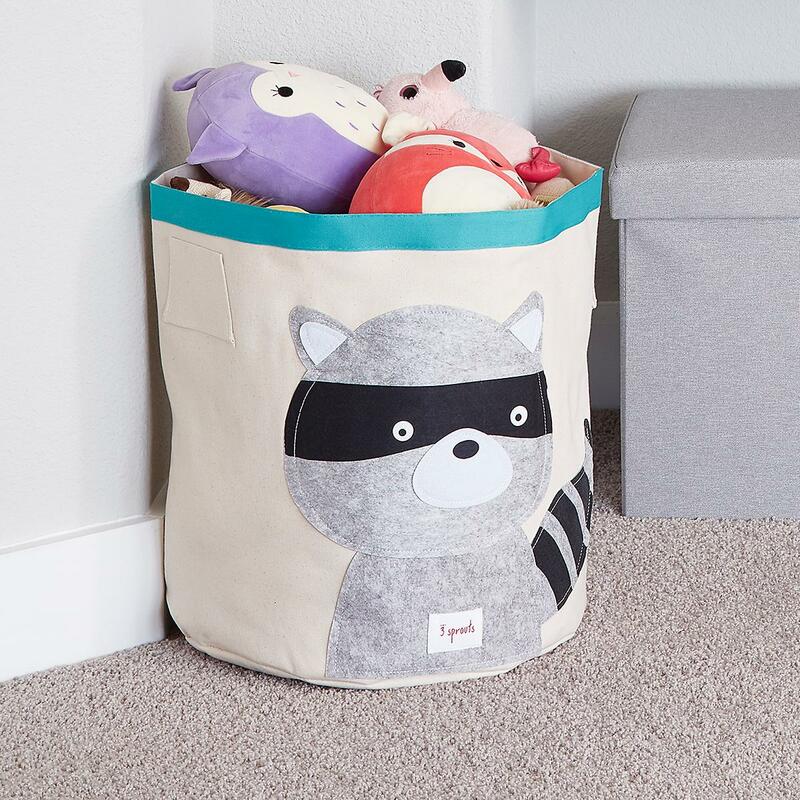 This little raccoon basket is adorable and will make tidying up fun for your kids. For many of us, the dining room is pretty much made up of nothing but a table and chairs — so that table better look great. But if you’re not in love with yours, we have an easy solution. Cover the table top in a chic, sleek marble-look contact paper, using an X-acto knife and a credit card to help remove bubbles. Sure, we all dream of having one of those Pinterest-worthy, dreamy staircases but in reality, we’re more likely to have 50-year old wooden stairs that are looking rough. That’s where removable wallpaper comes in. 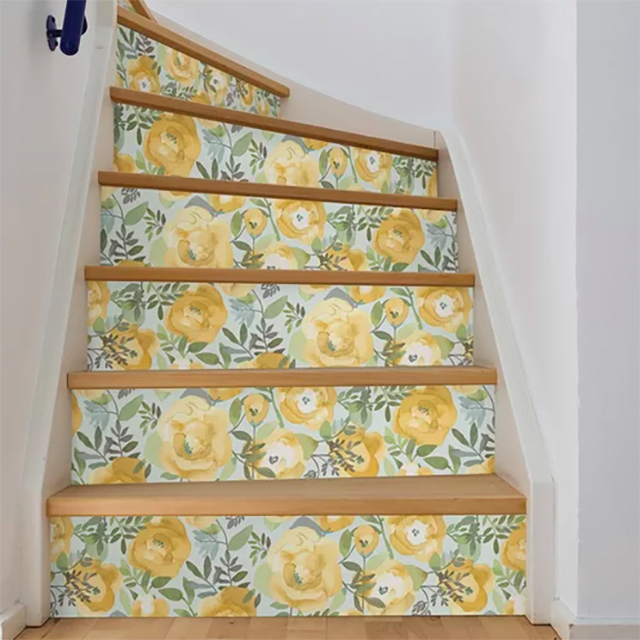 Choose a pattern or bold color to give your drab stairs a whole new look. This is especially great if you’re renting and don’t want to make any permanent changes to your space. There’s nothing worse than getting home at the end of a long day and walking into a crowded, messy entryway. 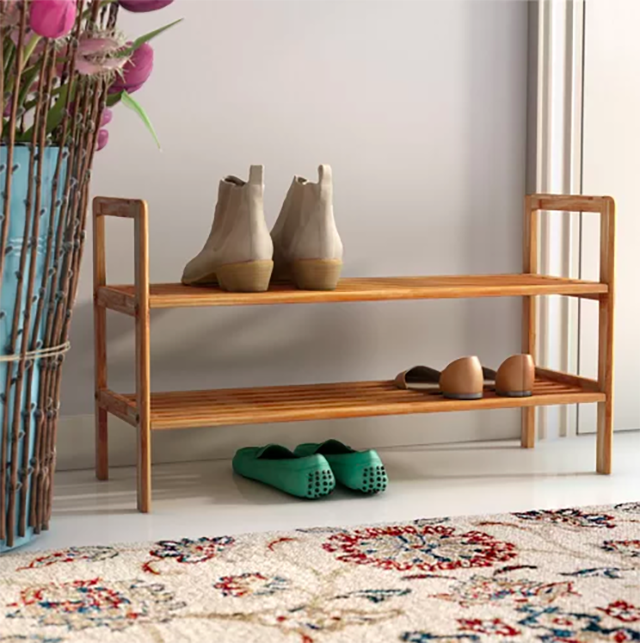 Instead, add a chic and easy way to keep all of those shoes organized.